NTT DATA Walkin Drive For Freshers in Chennai – 28th July to 4th August 2017. NTT DATA is conducting Job openings in Chennai for Graduate freshers for Associate, Senior Associate – (NonTechnical) position. Interested and eligible candidates have to practice NTT DATA Placement Papers before attending the Interview. Candidates who had completed their Graduation in any stream can grab this golden opportunity on or before the last date. Candidates with standing arrears will not be eligible to attend for NTT DATA Careers. The candidates will be selected based on Face to Face Interview Round for Associate, Senior Associate – (NonTechnical) Profile. One more important thing for the candidates is while going to attend for the interview must carry mandatory documents which are mentioned in this article. It is highly Appreciable if candidates check the Official notification before applying for the Vacancy/Paying the Application Fee. As we all know compared to the previous years this year competition for Jobs had increased immensely. So there will be tough competition for this Recruitment. Candidates are advised to check NTT DATA Model Papers so they can prepare confidently and can easily crack the Recruitment of NTT DATA Recruitment 2017. Placing calls to the insurance companies to verify patient’s health insurance eligibility, benefits, and verification, notification of authorization. Taking action based on the call outcome, analysis as per instructions provided. Apply the training knowledge to the day to day work. NTT DATA offers various types of organizations comprehensive services on a global scale by leveraging its deep understanding of business processes combined with over four decades of experience in building and managing complex and mission critical IT infrastructures. Aspirants who had completed the graduation which are mentioned in this article they can attend for the openings in Chennai from 28th July to 4th August 2017. The candidates will be selected based on the performance in the Selection Process. 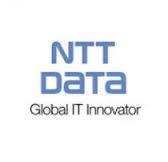 To know more details about NTT DATA Recruitment keep on visiting our site All India Jobs for the latest information. We hope the information provided on NTT DATA Recruitment is helpful for your job search. If this job doesn’t suit you then you can look for more Freshers Jobs in our Website. Keep visiting All India Jobs for regular Job Updates, off campus drives, walkin interviews, referral and many more.